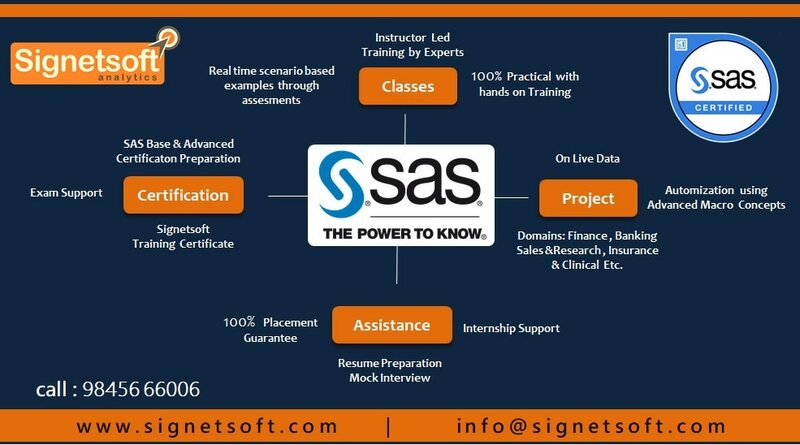 Signetsoft in Bangalore ,The Best SAS Training hub in Bangalore SAS Training SAS BI Training SAS Project Training SAS Internship SAS Certification Training Data Analyst Training Business Analyst Training SAS Job guarantee Tableau Signetsoft a professionally managed organization provides training, consulting and development in Business Analytics and recognizes the need for well - qualified and skilled professionals and is committed to provide high standards of training and services with a strong training background, Signetsoft was launched to equip and educate students and Professionals by imparting training in Business Analytics and we always believe in giving the best when it comes to education and training to our students. It is only possible due to our strong business ethics and disciplined culture. 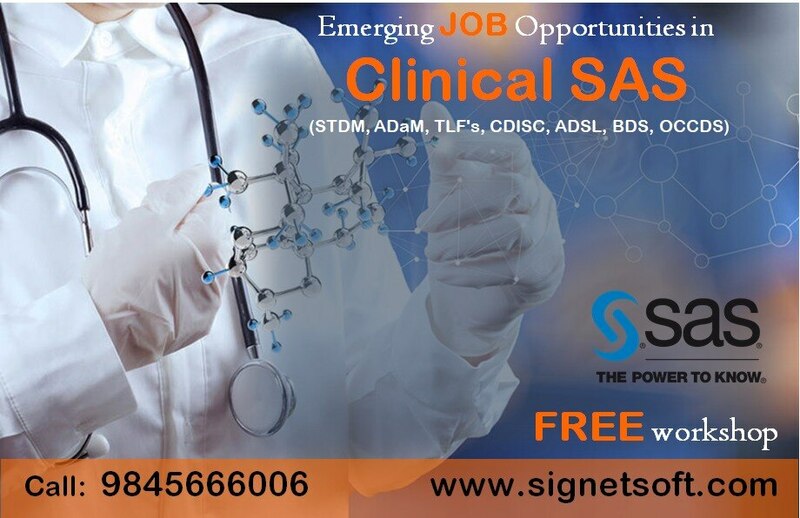 We are in the business of change, managing complexity with an unparalleled insight, looking beyond the horizon of IT with resources focused on solutions. 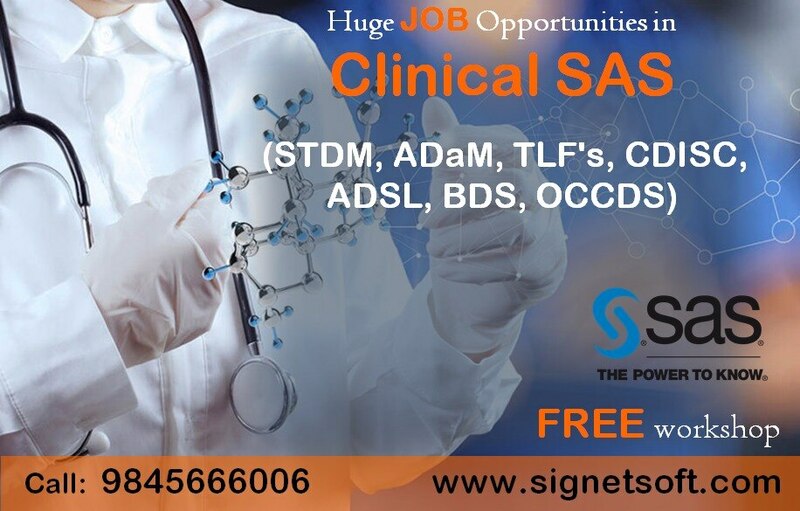 Signetsoft is focused on developing the skills of these highly enthusiastic and energetic graduates (Experienced/Fresher) for available posts for SAS, Clinical SAS, SAS DI Studio, Tableau and Henceforth, we have an expert team of full time Industry experts to impart them with quality practical training. 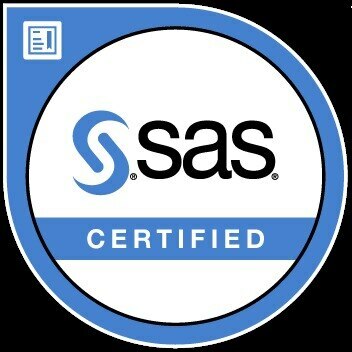 The Best SAS Training hub in Bangalore SAS Training SAS BI Training SAS Project Training SAS Internship SAS Certification Training Data Analyst Training Business Analyst Training SAS Job guarantee Tableau Signetsoft a professionally managed organization provides training, consulting and development in Business Analytics and recognizes the need for well - qualified and skilled professionals and is committed to provide high standards of training and services with a strong training background, Signetsoft was launched to equip and educate students and Professionals by imparting training in Business Analytics and we always believe in giving the best when it comes to education and training to our students. It is only possible due to our strong business ethics and disciplined culture. 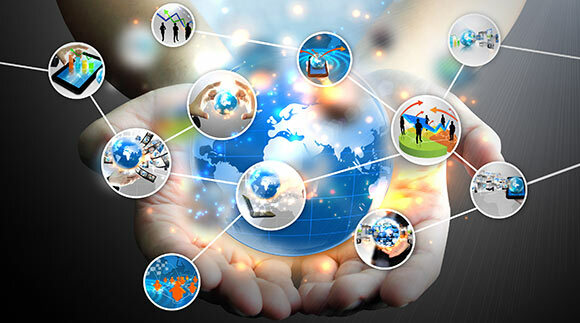 We are in the business of change, managing complexity with an unparalleled insight, looking beyond the horizon of IT with resources focused on solutions. 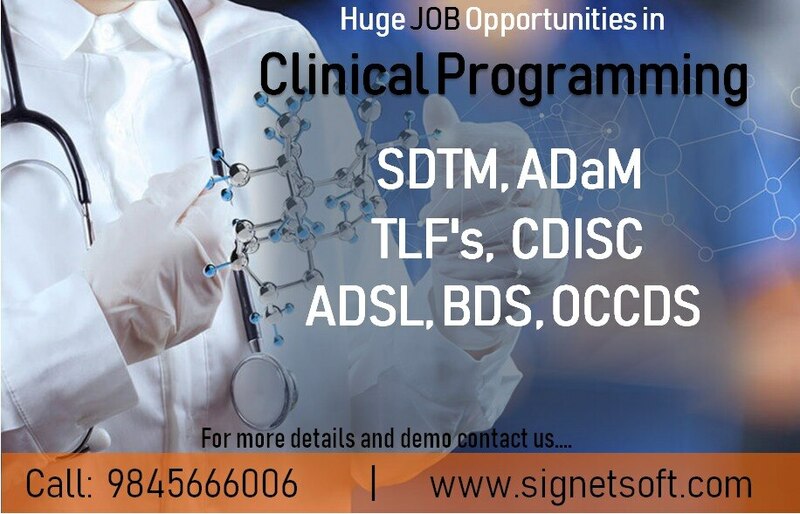 Signetsoft is focused on developing the skills of these highly enthusiastic and energetic graduates (Experienced/Fresher) for available posts for SAS, Clinical SAS, SAS DI Studio, Tableau and Henceforth, we have an expert team of full time Industry experts to impart them with quality practical training.